Mr Jaitley wrote in a post on social media that the decision to exempt income of up to Rs 5 lakh from tax will benefit "great Indian middle class". Union Minister Piyush Goyal on Friday announced a slew of changes in tax rules, from a full rebate on personal income up to Rs 5 lakh in a year to a 25 per cent hike in standard deduction threshold. "This is not just an interim budget, this is a vehicle for the developmental transformation of the nation," said Mr Goyal, who was given the additional charge of finance last month. The government proposed a full tax rebate to individuals with income up to Rs 5 lakh in a year, a move that would cost the government Rs 18,500 crore. Union Minister Arun Jaitley, who is in the US for medical treatment, said that the budget is aimed at benefiting the "great Indian middle class". The government proposed to provide a full rebate to individuals with an annual income up to Rs 5 lakh. However, the income tax slabs applicable to other individuals remain the same. Mr Jaitley wrote in a post on social media that the decision to exempt income of up to Rs 5 lakh from tax will benefit the "great Indian middle class". The move will strengthen the purchasing power of the middle class which holds the key for the country's future, he said. As per the existing income tax rules, applicable till Assessment Year 2019-20, annual personal income up to Rs 2.5 lakh is exempt from income tax. Section 87A of the Income Tax Act provides for a rebate to individuals on income up to a certain limit. 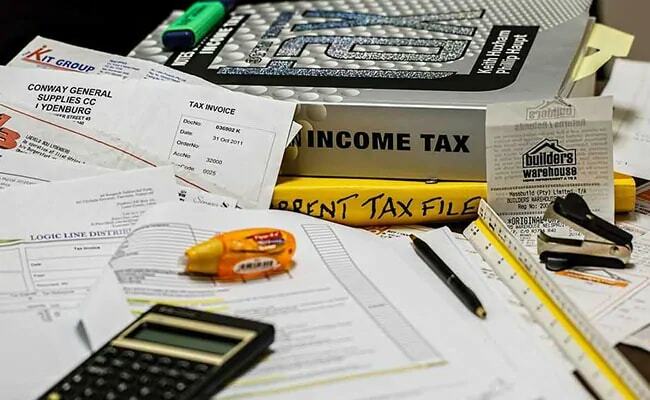 The Income Tax Department will give a "straight rebate" of Rs 12,500 to people having an annual income of Rs 5 lakh from the beginning of next fiscal year, Central Board of Direct Taxes (CBDT) Chairman Sushil Chandra said. Therefore, their tax liability will become nil, he explained. For people earning more than Rs 5 lakh annually, the "old" tax rates will continue, said the chief of CBDT, the apex policymaking body of the taxman. Mr Goyal also announced the government's proposal to lift the standard deduction limit - wherein employees and pensioners are given a flat relief from taxable income - from Rs 40,000 in a year to Rs 50,000. "Persons having gross income up to Rs 6.5 lakh may not be required to pay any income tax if they make investments in provident funds, specified savings, insurance etc.," Mr Goyal said, referring to deduction from taxable income available to the assesse in the form of existing rules. As per income tax rules, taxable income is derived by adjusting all exemptions and deductions applicable under the income tax laws against the gross income. Besides deduction available under Section 80C of the Income Tax Act, which provides for tax relief against a variety of investments - such as life insurance and savings scheme Sukanya Samriddhi - and is considered one of the more popular deductions by tax experts, Section 80D (medical insurance), Section 80E (education loan) and Section 80TTA (savings account interest) provide for a range of deductions to the assessee. "In fact, with additional deductions such as interest on home loan up to Rs 2 lakh, interest on education loans, National Pension Scheme contributions, medical insurance, medical expenditure on senior citizens etc., persons having even higher income will not have to pay any tax," the minister said in his Budget speech. The interim Budget 2019-20 also proposed a four-fold increase in the limit for TDS applicable on interest income (from post office/bank deposits) to Rs. 40,000 per annum. The move will benefit senior citizens and small depositors who depend on interest income from deposits in banks and post offices, the minister said. "This will benefit small depositors and non-working spouses," he noted. The government proposed to increase the TDS limit applicable to rental income by one-thirds to Rs 2.4 lakh, compared to the existing threshold. That means households earning income in the form of rent are likely to benefit, say financial advisors. As per current rules, the lessee -- or tenant -- is required to deduct TDS on annual rent above Rs 1.8 lakh. This tax is applicable to lessees other than individuals or Hindu Undivided Families (HUF), unless the entity is subject to tax audit. The government proposed to allow house owners to claim relief on a second property as self-occupied. This means the assessee will not have to pay tax on the second property on the basis of notional rent. As per current rules, assessees having more than one house have to pay income tax on the basis of notional rent. "Considering the difficulty of the middle class having to maintain families at two locations on account of their job, children's education, care of parents etc., I am proposing to exempt levy of income tax on notional rent on a second self-occupied house," Mr Goyal said while presenting the Budget. The government proposed to allow a profit of up to Rs 2 crore from sale of residential property to be invested in not one but two properties to avoid paying tax on capital gains, subject to certain conditions. The benefit of rollover of capital gains under Section 54 will be increased from investment in one residential house to two residential houses for a taxpayer having capital gains up to Rs 2 crore, Mr Goyal said. However, he added, "This benefit can be availed once in a life time." As per existing rules, individuals are allowed to utilise the gains from sale of property on purchase or construction of one new property to avoid tax. Mr Goyal said in his budget speech on Friday that income tax refunds will be processed within 24 hours and released immediately. "Within the next two years, the assessment of all tax returns should be done electronically without any personal interface," he said while presenting the interim Budget for 2019-20. The interim finance minister also said that the direct tax collections have risen from Rs 6.38 lakh crore in 2013-14 to almost Rs 12 lakh crore. “There are various incentives brought for salaried taxpayers and pensioners which will considerably reduce their tax outgo... Middle class taxpayers do often maintain two houses now a days. The second house would also be treated self-occupied, which saves the inconvenience of paying tax on notional rent on this house,” explained Amit Maheshwari, partner, Ashok Maheshwary & Associates LLP. "The finance minister has very cleverly balanced his budget by granting relief to large number of tax payers with minimum tax loss... Over 2.5 crore taxpayers who are expected to have income between Rs 3.5 lakh and Rs. 5 lakh will not have to pay any tax. However they will have to file return of income though they will not have any tax liability," added Ashok Shah, partner, NA Shah Associates. "The proposals to increase the threshold limit of Section 87A relief, standard deduction and relaxing the TDS norms will not only incentivise the small and honest taxpayers but it also help the government in reducing the tax administrative cost," said Naveen Wadhwa, DGM, Taxmann. “Every person (including an individual or HUF who is subject to tax audit) shall be required to deduct tax under Section 194-I from payment of rent… If an individual is not engaged in any business or his turnover does not exceed the limit specified in Section 44AB, he shall be liable to deduct tax under Section 194-IB in respect of rent paid or payable for use of immovable property,” he further said.